Did you know you can now order your Deliveroo takeaway from Pizza Express here on View? 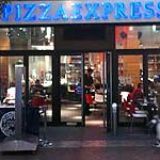 Pizza Express offers a wide ranging Italian menu at reasonable prices. Its open plan dining and kitchen means guests can watch their food being freshly prepared and it offers an ideal place for lunch, dinner or a quiet drink and snack. Do you work at Pizza Express? 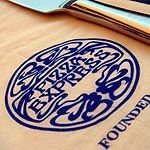 What did you think of Pizza Express? I agree with your review, although my Roman-style pizza was very nice and complimented the Foo Fighters superbly. The O2 is now open with a whole host of bars and restaurants to suit any budget and Pizza Express is an OK choice if you don’t want to make an event of your meal. Unfortunately it’s going to take a while for the O2 to really make its mark and become the must-visit place to go. This means that the restaurant is hardly thriving and, while the emptiness is great for being served quickly, it isn’t so good if you want a buzzy atmosphere. Instead, the vibe is subdued and quiet. The staff are the saving grace – friendly, cheerful and professional. Offering help on choices if needed and always upbeat and professional in their approach, they help to bring up the mood - it’s just not quite enough to shake off the gloom. The food is the same in all of its chains – decent pizza and pasta at affordable prices. There’s a great range of toppings to choose from and all the pizzas are handmade so you can pick and choose what you want. For those watching the waistline but wanting a treat, the pizzas are thin-crust and you can pick healthy toppings like spinach, tuna and less cheese for a healthier option. Drinks are pretty standard at this restaurant. There’s a decent enough, reasonably priced wine list and a nice selection of bottled beer and drinks for those not wanting alcohol. With Pizza Express you know what you’re going to get – OK food at reasonable prices. However, the O2’s venue just misses out due to its flat atmosphere and poor decor. Nice enough if you want a pre-cinema cheap meal, but not great for a date or occasion.